Our beautiful bride Steffi tied the knot at The Secret Herb Garden in Edinburgh earlier this year wearing wearing one of our dresses from the Ti Adora collection in blush which was designed by Alvina Valenta. 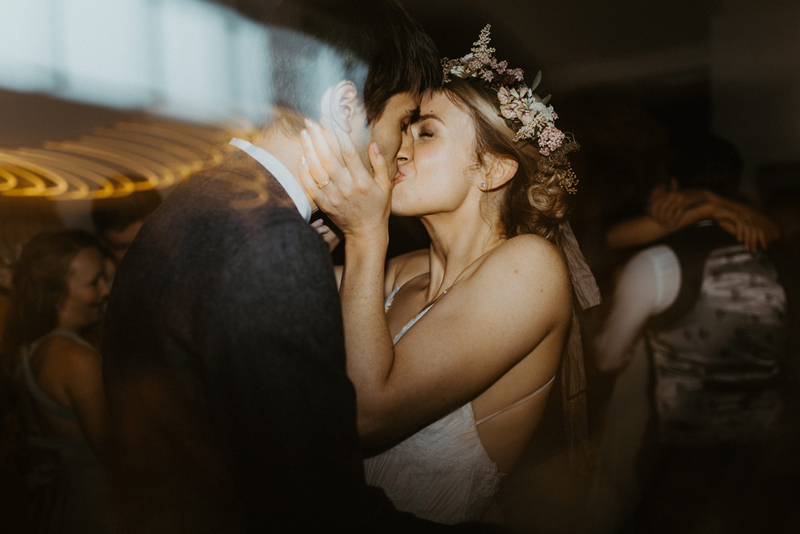 As you’d expect this wedding is just brimming with plants, foliage, flowers and more greenery than you can imagine so we fell in love with it - I mean have you seen our shop? Steffi's bridesmaids wore our Twobirds dresses in the tulle fabric and opted for the Sage Green colour which is a match made in heaven at this venue. Steffi's wedding featured in the amazing Rock My Wedding Blog and here's what she said about choosing her dress from Melle Cloche.